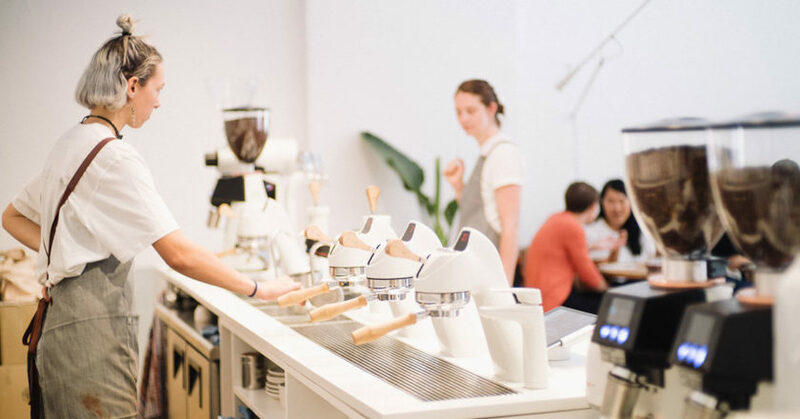 The coffee roaster says Industry Beans York St. brings together state of the art coffee equipment, considered architecture and responsive design, building upon what customers know and love about the company. “After three years looking for the perfect site in Sydney, we’re really happy to be here. The response to the café design, and to our coffee and brunch offer has been so positive and we’re feeling very welcomed to the neighbourhood.” Co-founder Trevor Simmons says. 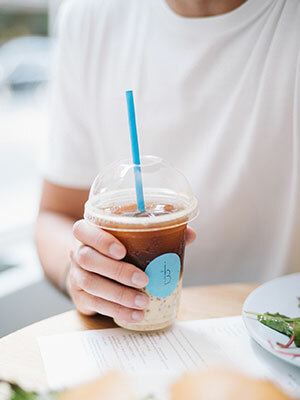 The Industry Beans Bubble Cup is made from single origin cold drip coffee, layered with a blend of condensed and soy milk, and topped with coffee soaked tapioca balls. The espresso coffee offer at York St. starts with its signature Fitzroy Street blend, complemented by a Seasonal Espresso blend and rotating single origins. Filter coffee is fast and accessible on batch brew, as well as Industry Beans’ signature Bubble Cup in original, salted caramel and vegan flavours. The York St. coffee menu is designed so every coffee on the menu is available to take home, with a retail display at entrance featuring packs of beans. Reusable cups, coconut nectar-soaked chai, and natural drinking chocolate round out the retail offer. 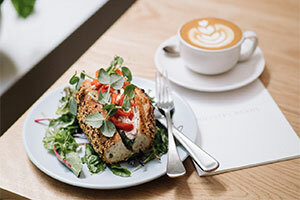 The café’s brunch menu combines dishes from Industry Beans Fitzroy in Melbourne, like the Coffee Rubbed Wagyu Burger and Fruit Sashimi, with others developed specifically for the Sydney CBD lunch crowd, such as baguettes, a Seasonal Super Salad and Green Bowl. “Our approach has always been to take widely loved dishes – like an avocado smash or an omelette – and make them more interesting, by introducing different cooking techniques and ingredients to create a unique brunch experience,” Trevor says. The Sydney café’s menu includes baguettes, a Seasonal Super Salad and Green Bowl. An Industry Beans App has also launched at York St, allowing customers to order ahead and pay in store to earn loyalty points, and enjoy a $5 credit for signing up. Industry Beans says the café design is reflective of the beautiful simplicity of the heritage site, which features a restored sandstone facade and pressed metal ceiling. Inside the café, the coffee bar is the centrepiece of the layout, showcasing a modular coffee bar which visitors to its Lt. Collins café in Melbourne will recognise. “It’s a signature design element for Industry Beans, bringing together our transparent approach to coffee making with our passion for super clean, minimal design.” Trevor says. Industry Beans York St. is open from 7am to 4.30pm on weekdays and 8am to 4pm on weekends.